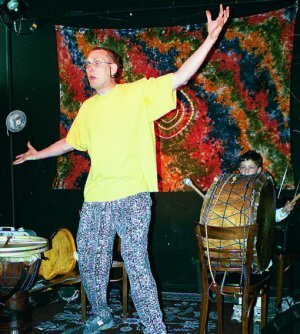 This story is featured in two of my DrumSongStory Programs: Trickster Tales and The Talking Drum. It can also stand alone as a humorous and refreshing 20 minute keynote that is guaranteed to liven up the most serious corporate conference. 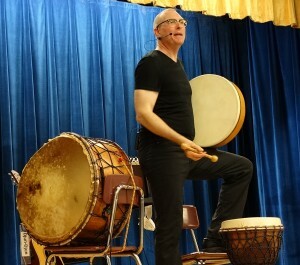 This telling was recorded live at an elementary school with several audience volunteers assisting me on Djun-djun, Djembe, and “Bob the Big Drum”.